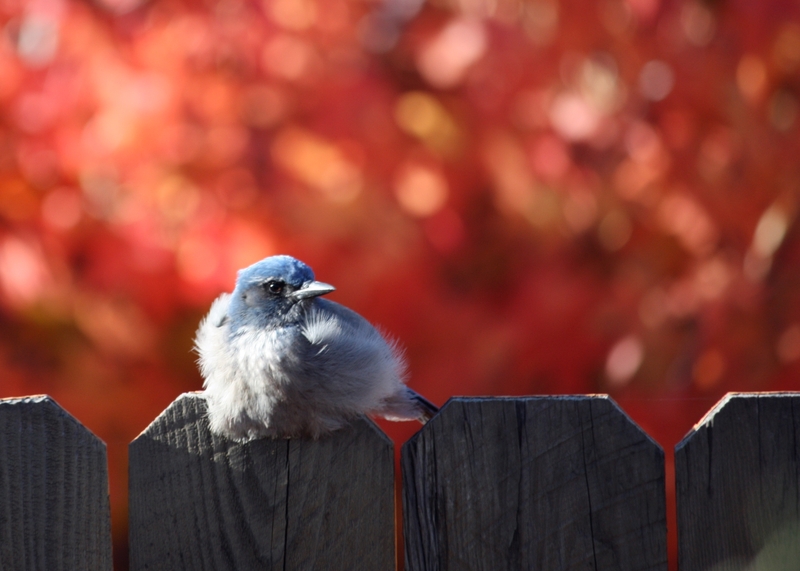 The picture is of a western jay sitting on my back fence. The neighbor’s tree is in the background in full fall color. I updated my Where I’ll Be page on my blog. http://conniesrandomthoughts.wordpress.com/where-will-i-be/. I’ve just lined up an author signing here in Payson for November 29th. The Swiss Village shopping strip has a Christmas kick-off the Friday, Saturday and Sunday after Thanksgiving. On Saturday the 29th, the biggest day of the three day event, I’ll have a tent set up to sell and sign my books. I have invites out to a few other authors, so I’m hoping there will be four of us there to say hi and sign books. The event starts at 10am and runs until after Santa leaves, probably 9pm. Hope to see you there. I’m still doing well on my National Novel Writing Month challenge. I’ve passed the halfway point and to be honest, I’m really getting into this story. Estimated release date? Maybe March. I’ll see how the revisions and editing go. My book, The Downtrodden, book two of the Brown Rain series came back from the editors and I’ve made all of my corrections. Now I need to format it and get it put up on Amazon and other places. As usual, I’d love to have some reviews. Sign up for my newsletter and tell me you’d like to do a review and I’ll send you a free PDF file of the book. Go to the button on the right side of the blog or go to my Newsletter tab to sign up. Or sign up here. Use Control, Click to access the link. We started having a cold snap two days ago so I brought my lemon tree, my bay leaf tree, my jade plant and my daughter’s plant inside. I picked all of the rest of the tomatoes and peppers, sweet and hot. Once we get a really hard frost, I’ll go out and clean up the garden beds for the winter. I mentioned last week I’m getting ready for my mom to come and live with me. Saturday I found a used chest of drawers. It is in very good shape. I’ll paint it to match the bed and put it in the room we’re prepping for her. I’m so excited. I cannot believe it’s the middle of the month already. July is a busy month and I guess that’s why it’s going so fast. Fourth of July was pretty much rained out here in Payson. The town held the fireworks but very few people were left to watch them fire off in the rain. The garden has been going like blockbusters. I’m harvesting blackberries, swiss chard, herbs, and sungold cherry tomatoes. The other tomato plants are producing but they’re all still green. There is no sign of hornworms yet, which makes me thankful. They get as big as my forefinger and can eat a tomato plant to just stem in no time flat. This is the time of year they show up so I’ve been carefully examining the plants every time I water. Unfortunately, they look exactly like a tomato leaf so they’re tough to spot. Other plants in the garden, hot and sweet peppers, cantaloupe, summer squash, butternut squash, peas, and green and yellow beans. The cantaloupe have, so far, produced two small ‘lopes but the pill bugs are eating them before they are even close to ripe. I don’t generally like to use bug killer but if I don’t, there won’t be any cantaloupe for me. 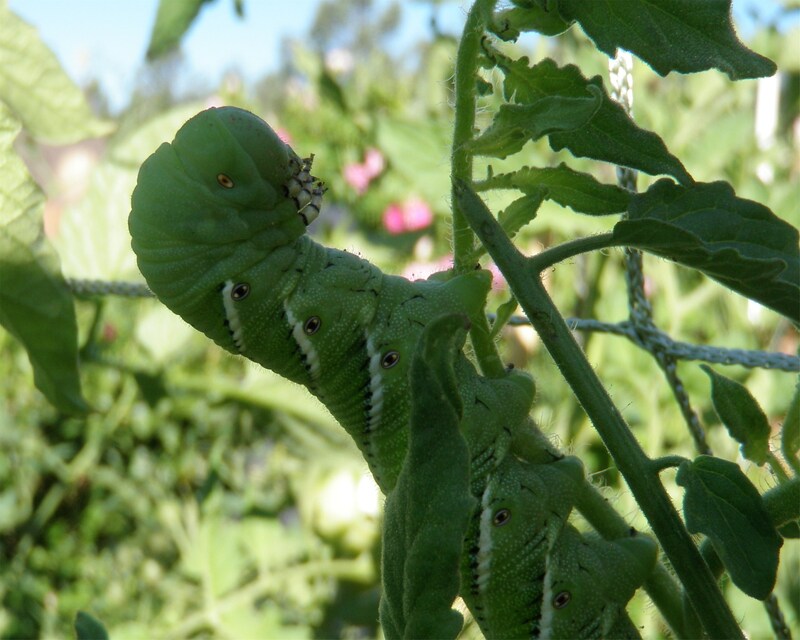 The picture at the top of the page is of a hornworm, just in case you’ve never seen one before. It looks like an alien, doesn’t it? July’s Camp NaNo is proceeding nicely. 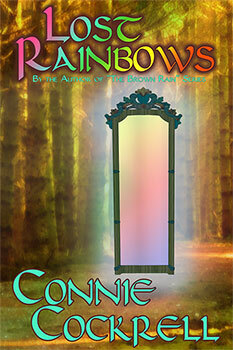 I have a 7K short story done and yesterday I completed the first of two novelettes for my new Brown Rain series. The novelette, titled The Beginning, finished at 21K words in the first draft which puts it in the novella category. I don’t mind. Longer is nearly always better in my opinion. I’ll start the second one today and continue my march toward the 50K NaNo goal for the month. I’m at 28K, past the word mid-point with time to spare. I’m 18 chapters into the semi-final revision of Revolution, a little over half way done. I’ll hand it off to one more editor, my hubby, for a final look see then one last edit before formatting for release. Yes, the editing, rewriting process takes longer than the 1st draft writing. Be patient, it’s on its way. The Goodreads site offers a Question the Author option. What do you think, are there questions you’d like to ask and no place to ask them? Would you be interested if I signed up for that on the Goodreads site?